#JianGhomeshi report conference call about to start. #JianGhomeshi report. they decided to make public the report. Don't say when they decided that. Posted online. #JianGhomeshi #rubinreport rubin intvd 99 cbc'ers. Not everyone asked agreed to talk. #JianGhomeshi #rubinreport lacroix says findings are troubling, point to lapses in cbc culture. #JianGhomeshi #rubinreport lacroix -- -we have work to do to create better trust. Need to create a strong, safe workplace. #JianGhomeshi #rubinreport #cbc report says Ghomeshi humiliated, yelled and belittled those with whom he worked. #JianGhomeshi #rubinreport #cbc Heather COnway now talking about the substance of the report. Starts with an apology. 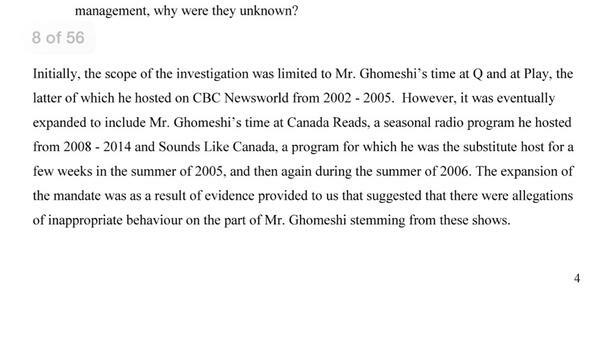 #JianGhomeshi #rubinreport #cbc report is damning of ghomeshi's character. Conway calls them "disturbing"
#JianGhomeshi #rubinreport #cbc management knew of the behaviour and should have done something. COnclusion --- management condoned it. #JianGhomeshi #rubinreport #cbc ghomeshi gave many colleagues back rubs which is described as "creepy". #JianGhomeshi #rubinreport #cbc no one had authority over ghomeshi in the workplace. #JianGhomeshi #rubinreport #cbc 9 recommendations. Conway says she agrees with them. #JianGhomeshi #rubinreport #cbc lacroix says they've discussed recommendations with union already. Wants to implement quickly. #JianGhomeshi #rubinreport #cbc 2nd rec -- more training, customized for all employees to understand harassment. 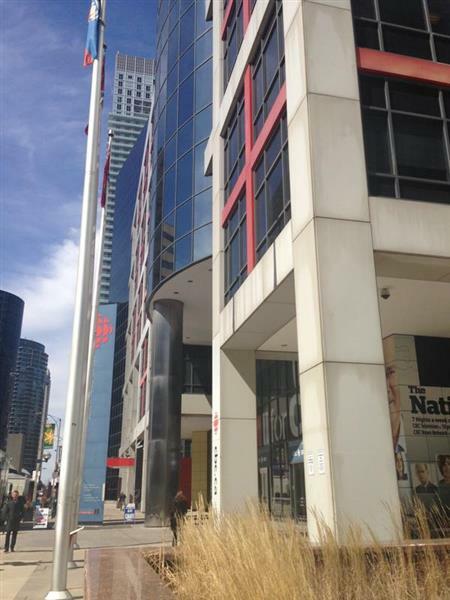 #JianGhomeshi #rubinreport #cbc 3rd rec -- spot audits to see how workplace operates. #JianGhomeshi #rubinreport #cbc 4th rec -- confidential workplace hotline. #JianGhomeshi #rubinreport #cbc 6th rec -- workplace ombudsperson. #JianGhomeshi #rubinreport #cbc 9th rec -- task force to address dif many employees have at establishing careers. #JianGhomeshi #rubinreport #cbc lacroix fumbles, refers to Ghomeshi as "our friend" before stumbling and saying "jian... "